The results are compared internally due to the concern of the verification only limited in the unit conversion of results and not necessarily the analysis. 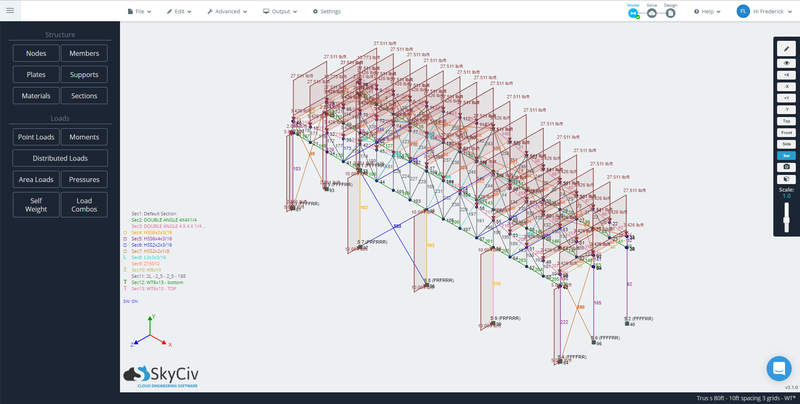 The structure is a 123-node, 276-member frame structure supported by fixed supports. The building consists of general section beams made from steel.